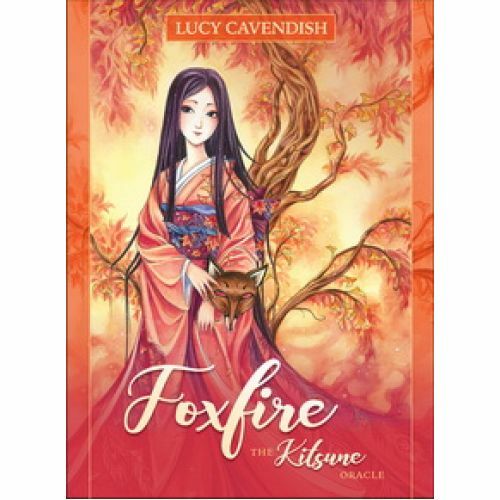 Lucy Cavendish, Meredith Dillman "Карты Foxfire: the Kitsune Oracle"
You are about to enter a magickal realm of cherry blossoms, talking gingko plants, dragons and elves. In this enchanted land, there exists the most ancient of powers – Foxfire. The guardians of Foxfire are the remarkable Kitsune, the legendary shape-shifting foxes. In ancient Eastern spirituality, the Kitsune work with the Shinto deity Inari. Loyal, wise and very clever, Kitsune bring good fortune, abundance and sage advice for all matters of the mind, body, and soul. Practical and mystical, the Kitsune will weave their protective energies around you, bringing you peace and prosperity. Work with this charming deck and you’ll discover the Kitsunes’ unique and fascinating gifts and you’ll receive their blessings. Give yourself clear, compassionate readings filled with messages of insight and inspiration. Featuring the imaginative work of fantasy artist Meredith Dillman, and written by Lucy Cavendish, this delightful deck is your passport to a strange and wonderful world of transformation, adventure and mysticism. 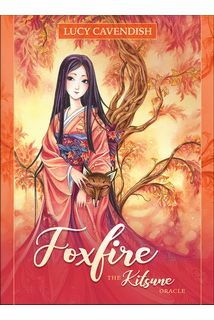 Foxfire: The Kitsune Oracle features 45 stunning cards, and an in-depth, beautifully written guidebook of 144 pages, featuring clear instructions, layouts and card messages.